The thing about us Singaporeans is that we will travel far and wide in search of good food — by far, I meant travelling an hour just to reach the other end of Singapore. 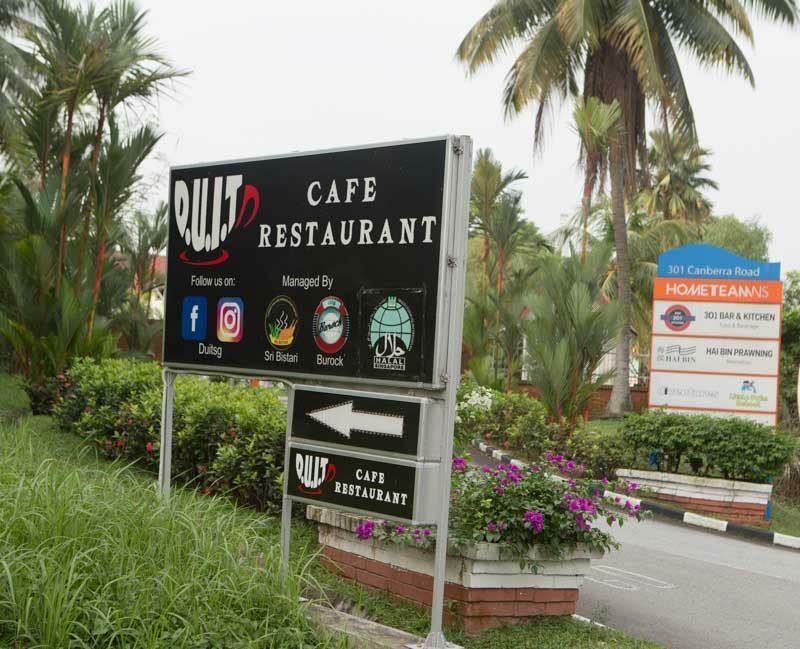 This time, I went to D.U.I.T Cafe Restaurant located at 301 Canberra Road, which provides a variety of halal food selection at their buffet spread, ranging from Asian to Western, fusion and seafood. Being an Eastie and not venturing out that much to the Northern side of Singapore, I had trouble finding the place. Don’t make the same mistake as me, I walked for about 20 minutes from Sembawang MRT station when I could have easily taken a bus. Good thing is that the walking did help me worked up an appetite for the buffet spread though, so I guess I shouldn’t be complaining. 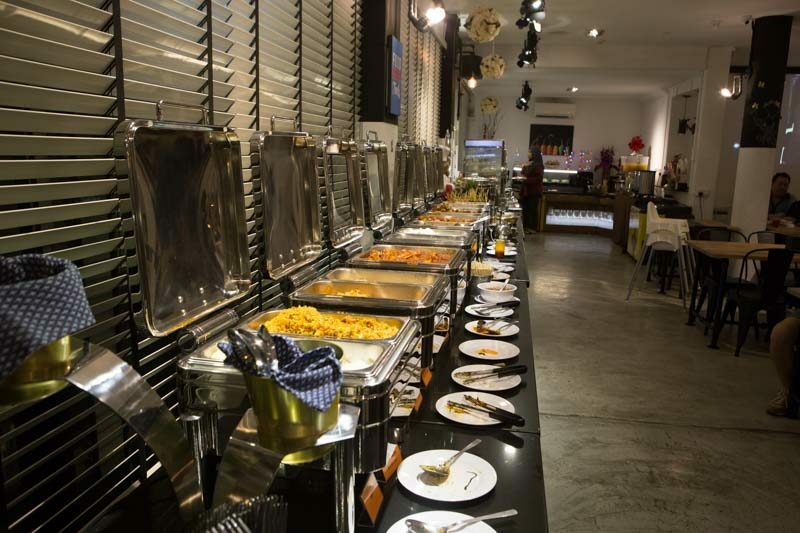 The buffet spread at D.U.I.T Cafe Restaurant is available on weekends and boy, was it crowded. Priced at S$28, no wonder it’s in high demand. 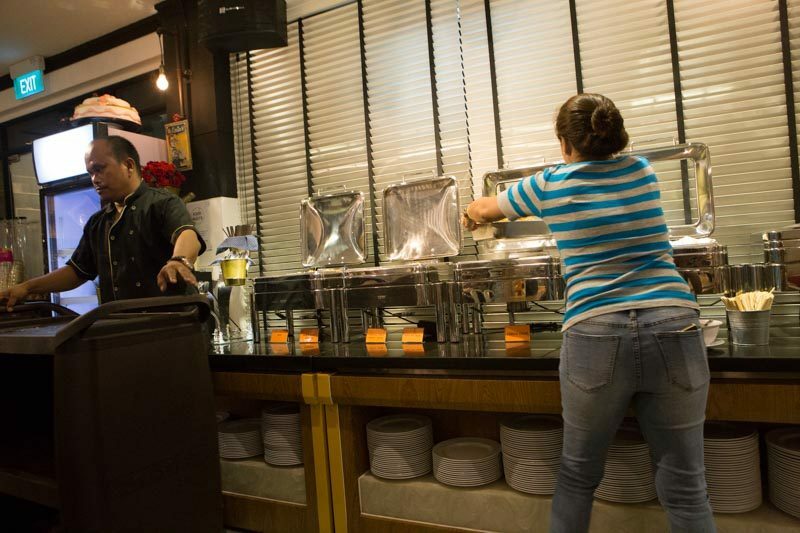 Their buffet starts from 6pm until 8pm, and 8.30pm to 10.30pm for the second seating. Food is made fresh for the second batch so you don’t have to worry about getting stale food. 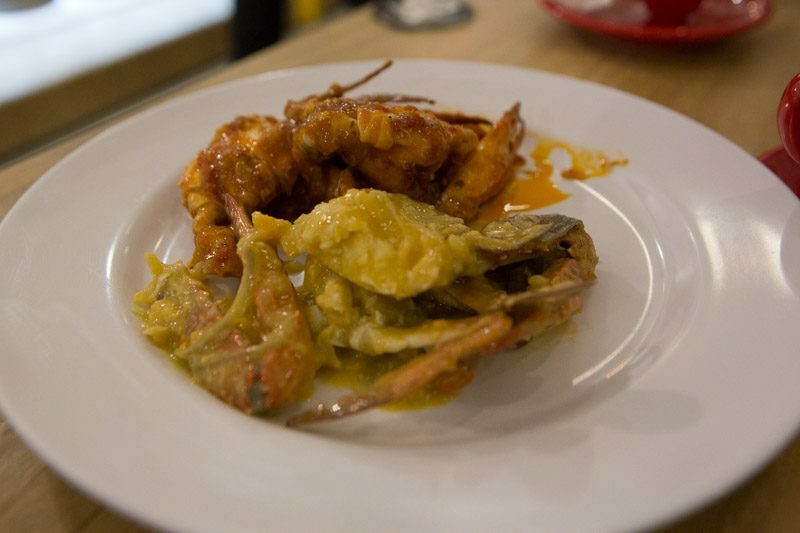 The spread ranges from crabs to char kway teow and traditional cakes for desserts. There is even a chocolate fondue bar at the back that will be great for kids and the kiddo in me. The slogan for their restaurant is “food taste better when you eat with your family” and that clearly shows as the restaurant is packed with families and big groups of people dining in. 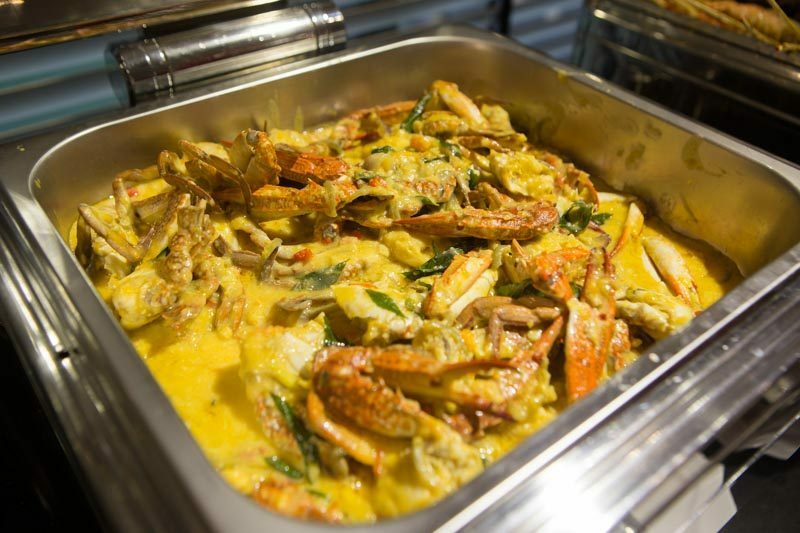 The Salted Egg Crab was one of the dishes I had my eyes on, the aroma of the thick salted egg sauce and curry leaves made me salivate and I knew it was the first dish I had to try. The salted egg crab has been cooked with real salted egg yolks instead of the processed powder so you get what you’re paying for and they don’t skimp on the crabs. The crabs are cut up so it’s easier for you to slurp up all the crab meat and juices. The buttery sauce won me over instantly and I enjoyed how addictive it was, it brought out the sweetness of the crab meat rather than overpowering it. The chilli crab had a queue forming up and as I sat strategically next to the buffet line, I saw a few pantons re-stocking and going for more rounds. 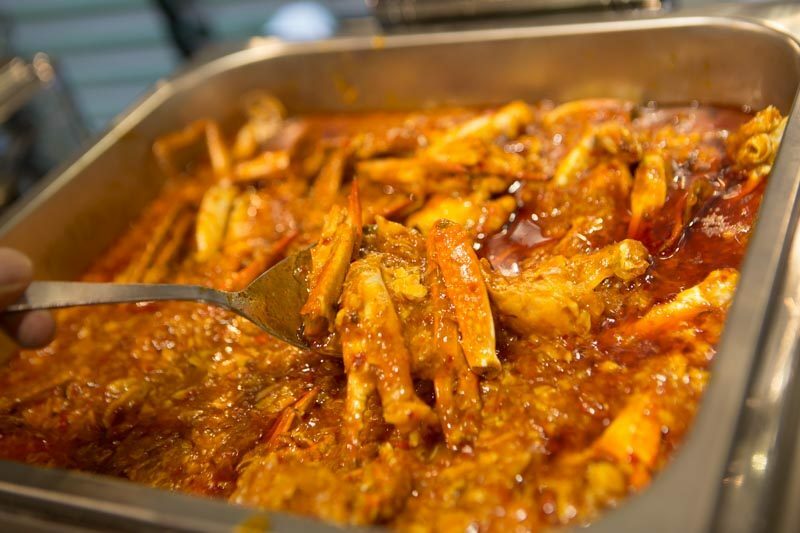 The chilli crab is sweet and mildly spicy — I could taste the sweetness from the onions and the subtle heat kicks in gradually. I felt it needed a little more rice wine vinegar to balance out the sweetness of it. 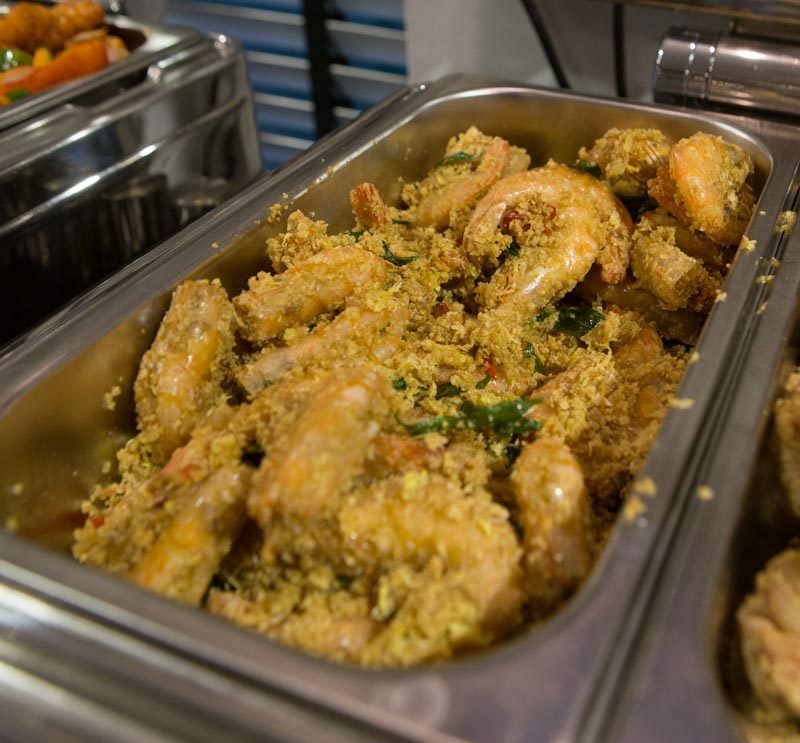 The Cereal Prawns are cooked to golden perfection and you get prawns that are fresh and firmed that is good on its own without needing any marination. The cereal made every mouthful sweeter and crunchier, and the chilli padi gave a much-needed heat to this dish. 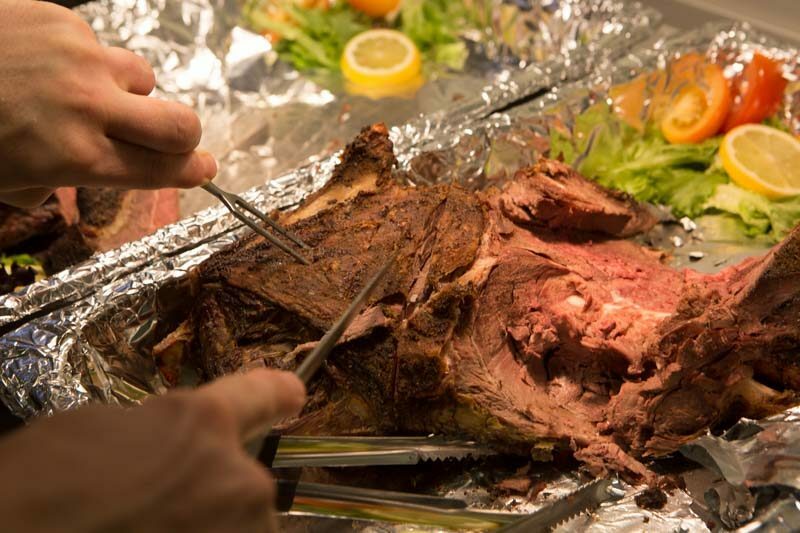 The Roast Lamb was a bit of a letdown, perhaps it has been out too long when I tried it. The meat was cold and tough and it could use a little more seasoning. If you are looking for a traditional roast maybe this isn’t the place for you. It would be better if they had set up a station for the chef to cut up the meat instead of leaving it out in the open. 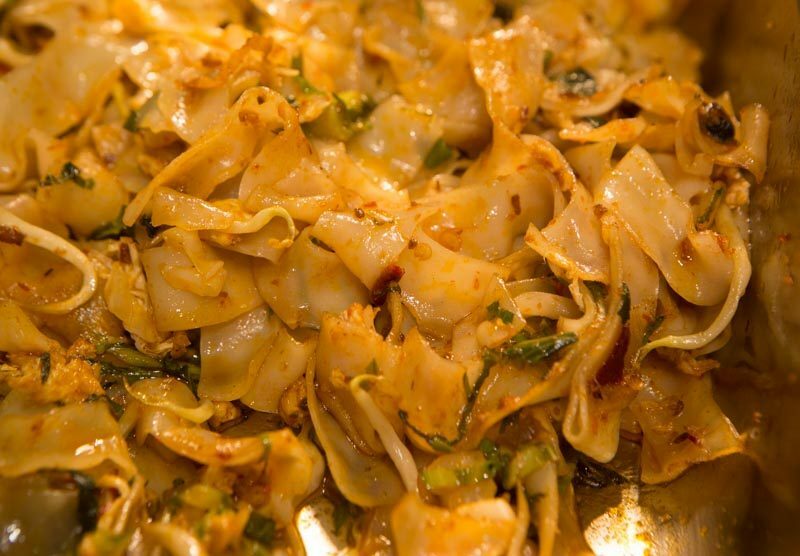 Their Kway Teow Goreng isn’t overwhelmingly heavy, but they definitely don’t hold back on oil, ensuring that it isn’t too dry and there is a good amount of wok hei taste to it too. The noodles were evenly coated with eggs and chilli paste. I’m not much of an advocate for healthy food, but I was hoping for more greens in the noodles. The buffet spread here is quite limited but you can’t get anywhere else that serves crabs for this price. While this might be an unpopular opinion, I was hoping more vegetables could be added to their buffet line. 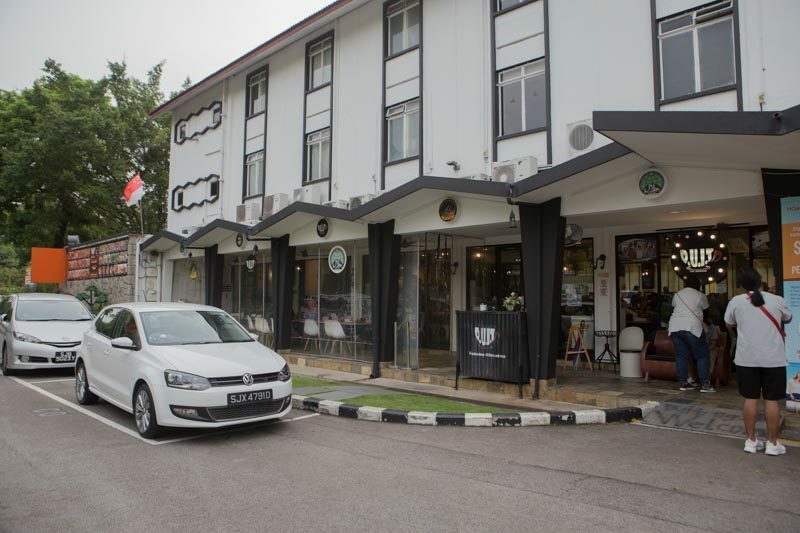 The food is of good quality at D.U.I.T Cafe Restaurant, and I will be back next time with my family to enjoy another round of crabs.